Not too much longer left to wait until the LOST panel at this year’s San Diego Comic Con, I wonder what surprises Damon Lindelof and Carlton Cuse will have for us? There has been talk that they want to use their last appearance to give back to the fans, one such thing is they held a contest for fans to come up with a theme song for LOST. That could be ‘interesting’ but what we all really want it some info about the sixth and final season. Its likely they’ll have a ‘special guest’ with them, last year it was Matthew Fox, the year before it was Harold Perrineau. Rumours have been circulating that it could even be Dominic Monaghan, that would be cool, we all miss Charlie, but I personally don’t think its likely. But then again we don’t really know what the 6th season is going to be about, remember that appears that they’ve just detonated a nuclear bomb on the island. In the first couple of day of Comic Con a few Lost related things have popped up on the abc website. The first was the ‘Lost University’ site which I linked to here a couple of days back. It appears that it could be part of a new ARG to fill in the months until season 6, but no-one seems overly sure just yet. Lostpedia has compiled all the info off the site in one easy to read page, so I won’t bother duplicating it all here, but you can find out more about Lost University here. Now another video has popped up, and it looks like its the first in a series of five videos to be released over the coming months. 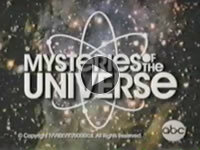 Titled ‘Mysteries of the Universe’, its been compiled to look like a 1970’s conspiracy documentary about secret societies. This first video doesn’t give too much away (you can watch it above), but any drip fed Lost info is a good thing. One thing to keep in mind though is that even if the content is ‘cool and interesting’ it doesn’t necessarily mean than the info is canon. Hopefully we get teased with something cool at the last-ever Lost panel at SDCC. So despite saying that the ARG would continue on December 19, it appears to have started up again a month early. The latest email says that individual dossiers for each participant can now be downloaded from the “Dharma wants you” website. The ‘dossier’ is just a two page pdf, first page is a certificate saying you’ve completed the program, and the second page is your results from the tests (I actually did much better in some than I thought). In the email Hans Van Eeghen also announces that due to the world financial crisis all the higher level Dharma representatives have “gone missing”, causing them to “abandon their ambitious plans”. As a result they’ve “sold the Dharma Initiative to the television show LOST” (I’m sorry, but thats just lame…). He goes on to say that exec producers Lindelof and Cuse will be in contact with their future plans for the Dharma Initiative… Maybe they’ll tell us why this years ARG sucked so hard. Titled “Numeric Projection Evaluation” it was just a series of number sequences which you had to complete. The majority of them were really simple, like 1,3,5,7,?. There were a couple I had no idea how to work out, so I skipped them thinking I’d get a second look at them. Nope. Since the test was timed there was no real chance to google the answers either. Not that it matters. Kind of over the tests, I want something more interesting. Another 10 multiple choice questions, this time more like the sort of questions you might expect in an IQ test. I don’t know if the questions are random or not, might take it again to see if I get different questions. There was also a video which mentioned that we are about half way through the “volunteer assessment program”, and according to Lostpedia there will be 8 tests in total. Not sure what happens after that, but hopefully something interesting. Referred to as the “Dexterity and Attentiveness Evaluation” the third test involves moving a Dharma logo around on the screen to avoid colliding with four spheres that are moving around on the screen. The longer it goes on the faster they move and even with the cheat/glitch that was found to allow you to change the position of the logo to quickly avoid collisions, advice I still have managed to get to 100 (the maximum score). I probably just need more sleep.